Electronics for Imaging (EFII), or EFI, announced that it has entered into a definitive agreement to be acquired by an affiliate of Siris Capital in an all-cash transaction valued at approximately $1.7B. Electronics for Imaging, Inc. provides industrial format display graphics, corrugated packaging and display, textile, and ceramic tile decoration digital inkjet printers worldwide. Its Industrial Inkjet segment offers VUTEk format display graphics, Nozomi corrugated packaging and display, Reggiani textile, and Cretaprint ceramic tile decoration and building material industrial digital inkjet printers; digital ultra-violet curable, light emitting diode curable, ceramic, water-based, thermoforming, and specialty inks; various textile inks, including dye sublimation, pigmented, reactive dye, acid dye, pure disperse dye, and water-based dispersed printing inks, as well as coatings; digital inkjet printer parts; and professional services. Under the terms of the agreement, which has been unanimously approved by EFI’s board, an affiliate of Siris will acquire all the outstanding common stock of EFI for $37.00 per share in cash. The purchase price represents an approximately 45% premium over EFI’s 90-day volume-weighted average price ended on April 12. EFI may solicit alternative acquisition proposals from third parties during a “go-shop” period over the next 45 calendar days. EFI will have the right to terminate the agreement to enter into a superior proposal subject to the terms and conditions of the agreement. There is no guarantee that this process will result in a superior proposal and the agreement provides Siris with a customary right to attempt to match a superior proposal. EFI does not intend to disclose developments with respect to the solicitation process unless and until it determines such disclosure is appropriate or is otherwise required. EFI’s board has unanimously recommended that its shareholders adopt the agreement with Siris. Subject to the go-shop, a special meeting of EFI’s shareholders will be held as soon as practicable following the filing of the definitive proxy statement with the U.S. Securities and Exchange Commission and subsequent mailing to shareholders. Subject to the go-shop, the proposed transaction is expected to close by Q3 and is subject to approval by EFI’s shareholders, along with the satisfaction of customary closing conditions including antitrust regulatory approvals. The transaction is not subject to any financing conditions. Upon completion of the acquisition, EFI will become wholly owned by an affiliate of Siris. Publicis (PUBGY) announced it has entered into an agreement with Alliance Data Systems (ADS) under which Publicis will acquire Alliance Data’s Epsilon business for a net purchase price of $3.95B after tax step-up – total cash consideration of $4.40B – and build a strategic partnership with Alliance Data remaining business. 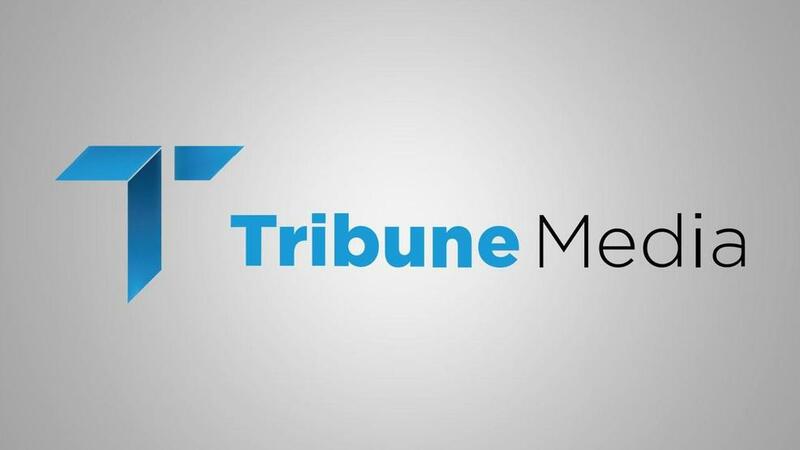 The Directoire, or Management Board, and the Conseil de Surveillance, or Supervisory Board, of Publicis have unanimously approved this transaction. Edward Heffernan, Alliance Data Systems’ President and CEO, added that, “I’m pleased to say today’s announcement represents a trifecta win for Alliance Data, Epsilon and Publicis Groupe. The announcement of this transaction represents the culmination of an extensive assessment of strategic options for our Epsilon business. With this transaction, we have found what we believe to be the right home for Epsilon’s technology, data assets and associates. Under the terms of the agreed transaction, Publicis will acquire Epsilon for a cash consideration of $4.40B, representing a net purchase price of $3.95B after deducting the benefit of acquisition-related tax step-up. This implies an 8.2-times multiple, based on a 2018 Adjusted EBITDA of $485M. According to Publicis, the transaction will be double digit accretive to its headline EPS and free Cash Flow per share from year one. 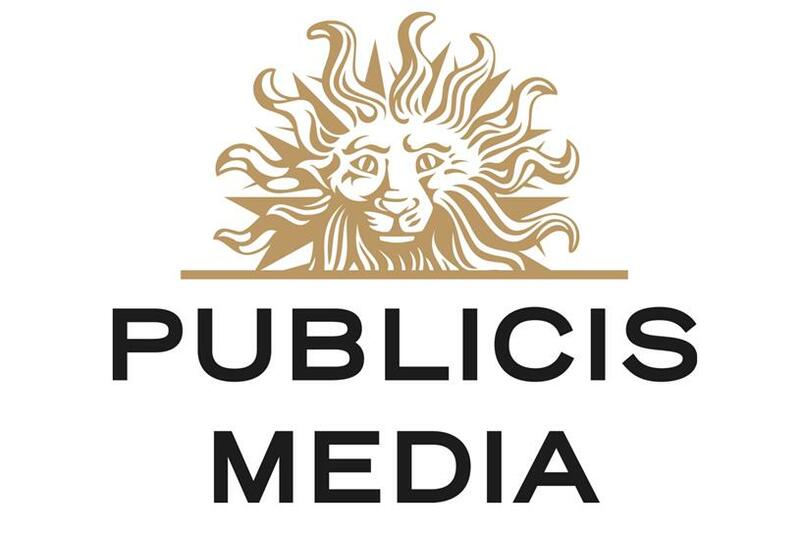 Publicis also said that it “remains committed” to its 45% dividend payout ratio and will put on hold its share repurchase program in the context of this acquisition. Zogenix (ZGNX) announced that it received a Refusal to File, RTF, letter from the U.S. Food and Drug Administration regarding its New Drug Application for FINTEPLA, for the treatment of seizures associated with Dravet syndrome. Dravet syndrome is a rare, catastrophic, lifelong form of epilepsy that begins in the first year of life with frequent and/or prolonged seizures. Previously known as Severe Myoclonic Epilepsy of Infancy (SMEI), it affects 1:15,700 individuals, 80% of whom have a mutation in their SCN1A gene. Upon its preliminary review, the FDA determined that the NDA, submitted on February 5, 2019, was not sufficiently complete to permit a substantive review. In the letter, the FDA cited two reasons for the RTF decision: first, certain non-clinical studies were not submitted to allow assessment of the chronic administration of fenfluramine; and, second, the application contained an incorrect version of a clinical dataset, which prevented the completion of the review process that is necessary to support the filing of the NDA. The FDA has not requested or recommended additional clinical efficacy or safety studies. “We remain highly confident in FINTEPLA’s clinical profile demonstrated in the Phase 3 program in Dravet syndrome and are committed to advancing the product candidate as a potential new treatment option for this and other rare and often catastrophic epileptic encephalopathies,” said Stephen J. Farr, Ph.D., President and CEO of Zogenix. 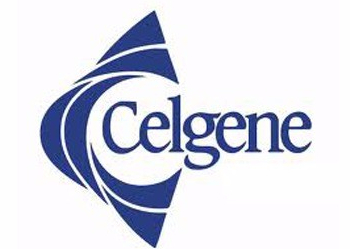 Zogenix’s Marketing Authorization Application, MAA, for FINTEPLA for the treatment of seizures associated with Dravet syndrome was previously accepted for review by the European Medicines Agency, EMA, and the Company anticipates an approvability decision could be reached by the EMA in the first quarter of 2020. Piper Jaffray analyst Danielle Brill lowered her price target on Zogenix to $68 after it received a refusal to file letter from FDA on its Fintepla new drug application. The analyst notes that while the issues mentioned by the FDA sound like a simple fix, if the agency requires the company to conduct new toxicity studies, the re-submission could be delayed another 12-15 months. In spite of the “discouraging news”, longer term, Brill still keeps her Overweight rating on Zogenix and believes that “the company should be able to leverage existing ICH data with fenfluramine” based on their reported prior FDA interactions, modeling a launch in Q2 of 2020. ZGNX closed at $51.85, it last traded at $35.00. Advaxis (ADXS) announced updated data from the Phase 1/2 KEYNOTE-046 study in metastatic, castration-resistant prostate cancer. Castrate-resistant prostate cancer refers to prostate cancer that keeps growing even when the amount of testosterone in the body is reduced to very low levels. Many early-stage prostate cancers need normal levels of testosterone to grow, but castrate-resistant prostate cancers do not. Androgens are required for normal growth and function of the prostate. Androgens are also necessary for prostate cancers to grow. Androgens promote the growth of both normal and cancerous prostate cells by binding to and activating the androgen receptor, a protein that is expressed in prostate cells Once activated, the androgen receptor stimulates the expression of specific genes that cause prostate cells to grow . This trial is being conducted in conjunction with Merck (MRK) and is evaluating ADXS-PSA, one of Advaxis’ Listeria monocytogenes-based immunotherapies, alone and in combination with KEYTRUDA, Merck’s anti-PD-1 therapy. 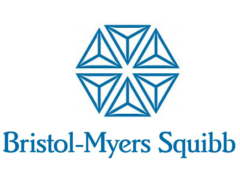 Findings will be highlighted in a poster discussion entitled “Effects of ADXS-PSA with or without Pembrolizumab on Survival and Antigen Spreading in Metastatic, Castration-Resistant Prostate Cancer Patients” at the American Association for Cancer Research Annual Meeting underway in Atlanta. KEYNOTE-046 is an open-label, multicenter, dose-determining safety and tolerability Phase 1/2 trial of 50 heavily pretreated patients conducted in two parts, with a Phase 2 expansion cohort. The objective of the study is to evaluate ADXS-PSA alone and in combination with KEYTRUDA for primary endpoints that include safety, tolerability and dosing. Secondary endpoints include anti-tumor activity and progression-free survival, and exploratory endpoints include associations between biomarkers of immunologic response with clinical outcomes. Key findings from the combination arm of KEYNOTE-046 include the following: The majority of treatment-related adverse events consisted of transient and reversible Grade 1-2 chills/rigors, fever, hypotension, nausea and fatigue. The combination of ADXS-PSA and pembrolizumab has been well-tolerated, to date, with no additive toxicity observed. Median overall survival was 21.1 months at data cutoff in this dataset of 37 patients. Correlative immune analyses showed T-cell responses against PSA in 75% of subjects and antigen spreading in 85% of subjects. Broader immune stimulation, including B-cell activation, was observed in the combination arm than in the ADXS-PSA monotherapy arm. ADXS closed at $5.91, it last traded at $8.15. MRK closed at $83.17. Dare Bioscience (DARE) announced the publication of clinical findings for vaginally-administered tamoxifen in Clinical and Experimental Obstetrics and Gynecology, an international journal for publication of research focused on the development of new therapeutic interventions for obstetrics and gynecology. Dare’s product candidate, DARE-VVA1, incorporates tamoxifen in a proprietary formulation designed for vaginal delivery. Dare holds the exclusive worldwide rights to patents issued in the U.S. and Japan covering the use and delivery of DARE-VVA1 for vulvar and vaginal atrophy, or VVA, and a U.S. patent covering composition, use and delivery of DARE-VVA1 for VVA. The publication reported that a self-administered vaginal suppository containing tamoxifen, dosed daily for one week followed by twice weekly for three months, administered to four healthy postmenopausal women with VVA showed significant improvements in reducing vaginal pH and vaginal dryness without significant systemic absorption of tamoxifen. This exploratory study demonstrated that tamoxifen was effective when delivered intravaginally for three months in postmenopausal women suffering with VVA. The median vaginal pH at the time of enrollment was 7.1. At the end of month 3, the median vaginal pH was 5.0. The median paired difference between baseline and month 3 was -2.0, with a range of -2.5 to -1.5. The self-assessment of vaginal dryness improved between baseline and month 3. Vaginal dryness was rated using a visual analogue scale, or VAS, that ranged from 0 to 10. At baseline, the median vaginal dryness rating was 8.0, with a range of 7.5 to 9.0. At the end of month 3, the median vaginal dryness rating was 3.0, with a range of 2.0 to 3.0. The median change between baseline and month 3 was -5.5. In addition, systemic exposure was at least an order of magnitude lower following vaginal administration compared with oral tamoxifen. After eight weeks of study treatment, median plasma concentration of tamoxifen was 5.8 ng/ml, with a range of 1.0 to 10.0 ng/ml. In comparison, after three months of oral administration of 20-mg tamoxifen once daily, the average steady state plasma concentration of tamoxifen is 122 ng/ml, with a range of 71 to 183 ng/ml. VVA is an inflammation of the vaginal epithelium due to the reduction in levels of circulating estrogen. Historically, estrogen-based therapies delivered through creams, rings and tablet supplements have been prescribed for the treatment of VVA symptoms. However, estrogen-based products can be worrisome for women undergoing treatment for hormone-receptor positive breast cancer and are often contraindicated in such breast cancer patients and in patients with a genetic predisposition or history of familial disease, because of the concern that estrogen use will promote recurrence of disease. Many breast cancer survivors undergo menopausal symptoms as a direct consequence of cancer treatment. Breast cancer patients treated with aromatase inhibitors refer to VVA as one of the most unpleasant side effects of treatment. Tamoxifen has been a commonly used treatment for breast cancer and is systemically metabolized to active metabolite 4-hydroxy-N-desmethyl-tamoxifen, otherwise known as endoxifen. In breast tissue, tamoxifen acts as an estrogen antagonist. In other tissue, including vaginal tissue, tamoxifen has been reported to exert an estrogen-like response on vaginal cytology by a mechanism yet to be understood and not expected based upon its an anti-estrogen activity. This exploratory study demonstrated that vaginal administration of tamoxifen for three months in postmenopausal women with VVA is a possible new, non-estrogen-based treatment approach. Dare is currently conducting activities in preparation for future clinical work with DARE-VVA1, its proprietary vaginal formulation of tamoxifen. If successful, DARE-VVA1 could be the first and only vaginally administered tamoxifen product approved by the FDA for the treatment of VVA in hormone-receptor positive breast cancer patients. DARE closed at $0.90, last traded at $2.70. Shares of Axovant (AXGT) have surged higher today following the company’s report of three-month data from an investigator-initiated study administering investigational AXO-AAV-GM2 gene therapy in a patient with advanced infantile Tay-Sachs disease, a rare and fatal pediatric eurodegenerative genetic disorder. Tay-Sachs disease (TSD) is a fatal genetic disorder, most commonly occurring in children, that results in progressive destruction of the nervous system. Tay-Sachs is caused by the absence of a vital enzyme called hexosaminidase-A (Hex-A). Without Hex-A, a fatty substance, or lipid, called GM2 ganglioside accumulates abnormally in cells, especially in the nerve cells of the brain. This ongoing accumulation causes progressive damage to the cells. In children, the destructive process begins in the fetus early in pregnancy. However, a baby with Tay-Sachs disease appears normal until about six months of age when its development slows. By about two years of age, most children experience recurrent seizures and diminishing mental function. The infant gradually regresses, and is eventually unable to crawl, turn over, sit or reach out. Eventually, the child becomes blind, cognitively impaired, paralyzed and non-responsive. By the time a child with Tay-Sachs is three or four years old, the nervous system is so badly affected that death usually results by age five. The study is evaluating a total dose of 1.0x 1014 vg of AXO-AAV-GM2 in a 30-month-old child with advanced infantile Tay-Sachs disease. AXO-AAV-GM2 was administered into the cisterna magna and lumbar spinal canal only. Due to the patient’s advanced disease, a co-delivered intrathalamic injection of AXO-AAV-GM2 was not administered. Future patients in the program, who are expected to be treated earlier in their disease course, will receive AXO-AAV-GM2 co-delivered into the thalamus bilaterally as well as into the cisterna magna and spinal canal. “AXO-AAV-GM2 was generally well-tolerated and no serious adverse events have been reported as of the 3-month visit. At 3 months, no clinically relevant laboratory abnormalities were observed following AXO-AAV-GM2 administration. The patient’s clinical condition was stable from baseline to month 3 without clinical deterioration observed on neurological exam. Furthermore, there was no significant deterioration in the condition from the pre-treatment magnetic resonance imaging of the brain at baseline to the post-treatment MRI at month 3,” the company announced in press release earlier this morning. Additionally, Chardan has upgraded Axovant to Buy from Neutral following the data report. In morning trading, Axovant shares are up 46c, or 31%, to $1.94. ExxonMobil (XOM) said it has revised its Permian Basin growth plans to produce more than 1 million oil-equivalent barrels per day by as early as 2024 – an increase of nearly 80 percent and a significant acceleration of value. 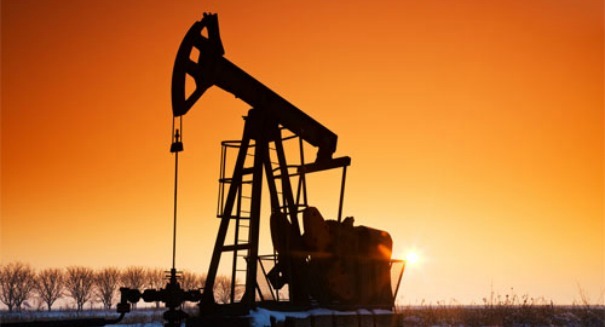 The size of the company’s resource base in the Permian is approximately 10 billion oil-equivalent barrels and is likely to grow further as analysis and development activities continue. ExxonMobil’s investments in the Permian Basin are expected to produce double-digit returns, even at low oil prices. At a $35 per barrel oil price, for example, Permian production will have an average return of more than 10 percent. The anticipated increase in production will be supported by further evaluation of ExxonMobil’s Delaware Basin’s increased resource size, infrastructure development plans, and secured capacity to transport oil and gas to ExxonMobil’s Gulf Coast refineries and petrochemical operations through the Wink-to-Webster, Permian Highway and Double E pipelines. Among the company’s key advantages in the Permian, is its acreage position. The company has large, contiguous acreage that enables multi-well pads in large development corridors connecting to efficient gathering systems, reducing development costs and accelerating production growth. ExxonMobil’s scale, financial capacity and technical capabilities enable the company to maximize the value of the resource. ExxonMobil is actively building infrastructure to support volume growth. Plans include construction at 30 sites to enhance oil and gas processing, water handling and ensure takeaway capacity from the basin. Construction activities include central delivery facilities designed to handle up to 600,000 barrels of oil and 1 billion cubic feet of gas per day and enhanced water-handling capacity through 350 miles of already-constructed pipeline. The investment plans will also bring great benefits to the local area. ExxonMobil’s expansion in the region will benefit communities in West Texas and southeast New Mexico through billions in property tax revenue, economic development and the creation of high-paying jobs. ExxonMobil remains one of the most active operators in the Permian Basin and has 48 drilling rigs currently in operation and plans to increase its rig count to approximately 55 by the end of the year. Increased use of technology, including enhanced subsurface characterization, subsurface modeling and advanced data analytics to support optimization and automation, will help the company reduce costs, improve its development plan and increase resource recovery. Crude oil is up 5 cents to $56.64 per barrel. XOM last traded at $80.22. ManTech (MANT) announced that it has signed a definitive agreement to acquire Kforce Government Solutions, or KGS, formerly a wholly-owned subsidiary of Kforce (KFRC) for $115M in cash. Headquartered in Fairfax, Virginia, KGS provides technology solutions, transformation management, data management and analytics in support of federal health and defense missions. KGS has built a legacy of success with its customers particularly within the Department of Veterans Affairs, or VA. The acquisition adds over 500 employees to the ManTech team. In 2018, KGS generated approximately $98M of revenue and has profitability comparable to ManTech. The combination will substantially increase ManTech’s footprint at the VA and enable ManTech to deliver services through the VA’s Transformation Twenty-One Total Technology Next Generation, or T4NG, program. The T4NG program is a 10-year indefinite delivery, indefinite quantity contract awarded by the VA Technology Acquisition Center to help the VA transform its information technology programs. ManTech will fund the acquisition from cash on hand with additional funding from its existing line of credit. ManTech expects the acquisition to be slightly accretive to earnings per share in 2019. The acquisition is subject to various closing conditions and approvals, including approval under the Hart-Scott-Rodino Act, and is expected to be completed in March. David L. Dunkel, Chairman and Chief Executive Officer commented, “Our federal government solutions business has been a meaningful part of our business since our initial government acquisition in 2006. I am immensely proud of the success that our KGS management team has had in growing and positioning this business for continued future success despite the competitive challenges it has faced, given its scale. FCA (FCAU) would invest $1.6 billion to convert the two plants that comprise the Mack Avenue Engine Complex into the future assembly site for the next-generation Jeep Grand Cherokee, as well as an all-new three-row full-size Jeep SUV and plug-in hybrid (PHEV) models, adding 3,850 new jobs to support production. The Company intends to start construction of the new Detroit facility by the end of Q2 2019 with the first three-row vehicles expected to roll off the line by the end of 2020, followed by the all-new Grand Cherokee in the first half of 2021. Also as part of this announcement, the Jefferson North Assembly Plant would receive an investment of $900 million to retool and modernize the facility to build the Dodge Durango and next-generation Jeep Grand Cherokee. FCA expects to create 1,100 new jobs at Jefferson North. The reborn Mack facility would be the first new assembly plant to be built in the city of Detroit in nearly three decades. In 1991, Jefferson North was the last new assembly plant built in the city. When complete, Mack would join Jefferson North as the only automotive assembly plants to be located completely within the city limits of Detroit. The Pentastar engines – the 3.6-, 3.2- and 3.0-liter – currently built at Mack would be relocated to the Dundee Engine Plant as part of a $119 million investment. Pentastar production at Mack I would end by Q3 2019. Mack II has been idle since it ceased production of the 3.7-liter V-6 in September 2012.FCA also confirms the investment at Warren Truck to retool for production of the all-new Jeep Wagoneer and Grand Wagoneer, announced in 2017, along with their electrified counterparts, would increase to $1.5 billion. Production is expected to launch in early 2021. In addition to the new Jeep models, the plant would continue building the Ram 1500 Classic, which is being extended to meet market demand. It is expected that 1,400 new jobs would be added. As a result of this investment announcement, production of the all-new Ram Heavy Duty will continue at its current location in Saltillo, Mexico. Multi-Color Corporation (LABL) announced that it has entered into a definitive merger agreement to be acquired by an affiliate of Platinum Equity LLC. Under the terms of the agreement, which has been unanimously approved by Multi-Color Corporation’s Board of Directors, Multi-Color Corporation shareholders will receive $50.00 in cash for each share of common stock they own, in a transaction valued at $2.5B including the assumption of $1.5B of debt. 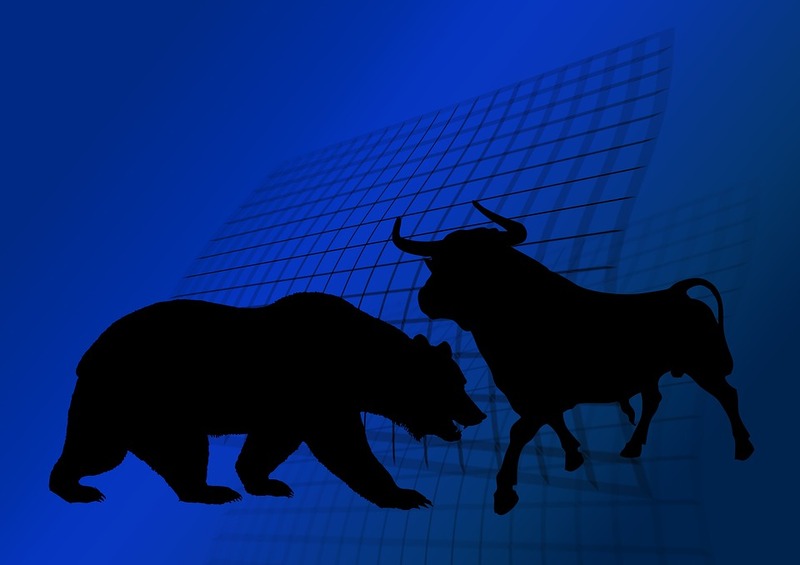 The cash purchase price represents a premium of approximately 32 percent over Multi-Color Corporation’s 30-day volume weighted average share price prior to January 22, 2019, the last trading day prior to media speculation regarding a potential transaction involving Multi-Color Corporation. The transaction will be financed through a combination of committed equity financing provided by Platinum Capital Partners IV, L.P., as well as debt financing that has been committed to by Bank of America Merrill Lynch, Deutsche Bank AG New York Branch, Deutsche Bank AG Cayman Islands Branch and Deutsche Bank Securities Inc. The transaction is expected to be completed by Q3 FY 2019 and is subject to Multi-Color Corporation shareholder approval, regulatory clearances and other customary closing conditions. Upon the completion of the transaction, Multi-Color Corporation will become a privately held company and shares of Multi-Color Corporation common stock will no longer be listed on any public market. Constantia Flexibles Holding GmbH and affiliates of Diamond Castle Partners, who together currently own 5,889,093 shares of Multi-Color Corporation common stock, representing approximately 28.7 percent of Multi-Color Corporation’s outstanding shares, have each separately entered into a voting and support agreement to vote its shares in favor of the transaction as provided in each agreement. The Multi-Color Corporation Board has unanimously recommended that all of Multi-Color Corporation’s shareholders vote to approve and adopt the merger agreement at an upcoming special meeting of Multi-Color Corporation’s shareholders. Achieve Life Sciences (ACHV) announced final data from their Phase I/II multi-dose, pharmacokinetic and pharmacodynamics, or PK/PD, clinical study of cytisinicline in smokers. The study evaluated the repeat-dose PK and PD effects of 1.5 mg and 3 mg cytisinicline in 26 healthy volunteer smokers when administered over the standard 25-day course of treatment. Smokers in the study had a mean age of 39 years, smoked on average 17.2 cigarettes a day, and were not required to quit smoking or have a predetermined quit date while on study. All subjects had a significant and immediate reduction in cigarettes smoked within 2 days of initiating cytisinicline treatment. By Day 26, subjects had an average 80% reduction in cigarettes smoked, 82% reduction in expired carbon monoxide, and 46% had stopped smoking. The biochemically verified smoking cessation rates were 39% and 54% in the 1.5 mg and 3.0 mg cytisinicline treated groups, respectively. The PK results indicated expected increases in plasma concentration between the standard 1.5 mg and higher 3.0 mg doses of cytisinicline with no evidence of drug accumulation. Cytisinicline at either dose was well tolerated with only transient, mild-to-moderate headache as the most common adverse event, which was not treatment limiting. No adverse events were severe, serious, or led to withdrawal from the study. ACHV closed at $1.81, it last traded at $2.88. Walmart (WMT) is scheduled to report results of its fourth quarter before the market open on Tuesday, February 19, with a conference call scheduled for 8:00 am EDT. 1. OUTLOOK: Walmart previously raised its fiscal 2019 EPS view to $4.90-$5.05 and narrowed its net sales view to up about 2%, but cut its EPS outlook at its investor meeting in October to $4.65-$4.80. In its November earnings report, Walmart again raised its FY19 EPS outlook to $4.75-$4.85. The current Street forecast for FY19 EPS stands at $4.84 on revenue of $514.33B. Baird analyst Peter Benedict said he expects Walmart’s Q4 earnings to be solid, and expects guidance to remain intact, although he recognizes the uncertainty with Flipkart as the result of new regulations in India. Jet.com’s holiday weekend was “truly horrible,” with sales down 6% on Thanksgiving and Black Friday and a 39% plunge on Cyber Monday vs. last year, BuzzFeed News reported, citing data from market research firm Edison Trends. According to the data, Target.com (TGT) sales increased 48% on Thanksgiving and Black Friday and 19% on Cyber Monday, Amazon (AMZN) increased by 25% on Black Friday and Thanksgiving and 17% on Cyber Monday, and Jet.com parent Walmart.com increased sales revenue by 23% on Thanksgiving and Black Friday and 32% on Cyber Monday. In late December, Amazon said that it had a “record-breaking” holiday season with more items ordered worldwide than ever before. Amazon customers shopped at record levels from a wide selection of products across every department, it said. Retailers like Walmart have been hurt by an increase in online shopping on sites like Amazon rather than at brick-and-mortar stores. Walmart is seeking to create a big ad business to rival that of Amazon, Bloomberg reported, adding that it has hired executives from NBC (CMCSA) and CBS (CBS) to help bolster its advertising business. Walmart has also launched a private-label furniture brand, called MoDRN, which is “a direct hit to big furniture retailers” such as Wayfair (W) and Ikea and a challenge to rival Amazon, Erica Pandey wrote for Axios. Bernstein analyst Brandon Fletcher said that India has been bandying about restrictive e-commerce regulations this past year, and finally pulled the trigger despite protestations from both Walmart and Amazon. The new rules put a damper on 1P selling models, pricing discounts, supplier exclusives, and supplier shares of sales above 25%, all of which are important to both companies’ planned models. While not significant to Walmart’s total revenues, the analyst believes it does put a damper on its long-term growth potential in the market through Flipkart and raises the question of where Walmart will make up that growth. 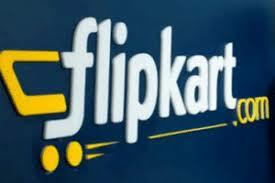 Morgan Stanley analyst Simeon Gutman said Flipkart’s losses will likely rise due to new e-commerce regulations in India and Walmart investors “can’t ignore Flipkart” as it once again becomes a bigger part of the retailer’s investment narrative.